Raffle tickets are on sale now!! $25 per ticket and only 100 Tickets for sale! 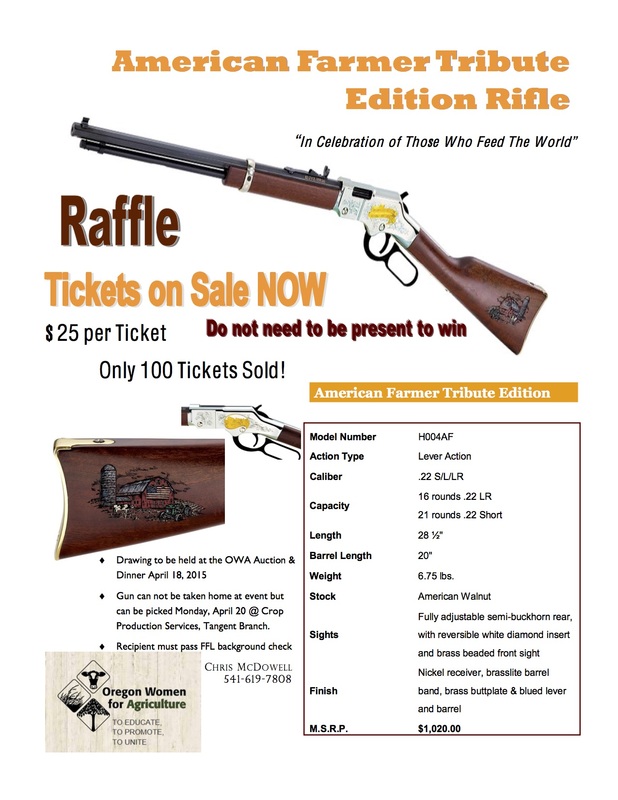 Drawing will be held April 18th at OWA Auction!